We service most makes and models of cars, vans, and trucks. Finding and working with a trusted car locksmith in Warwick, Rhode Island doesn’t have to be a challenge. Our team at Jon’s Locks is available to help you with any type of vehicle-related key service you need. We’re a certified, insured, and registered locksmith which means we’ll do an exceptional job for you and provide you with reliable workmanship. You can depend on us and have peace of mind knowing your vehicle’s locks and keys work perfectly. We can service most makes and models of vehicles including Honda, Toyota, Nissan, Ford, GM, and Mazda. For all of your auto locksmith, Warwick needs, including emergency unlock service, call our team today. As a trusted local locksmith, we encourage you to call Jon’s Locks for any needs you may have. Below are some of the automotive locksmith services we offer. 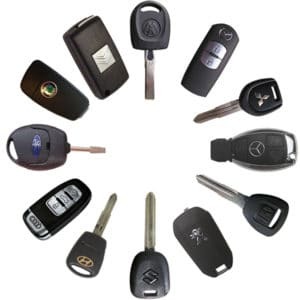 We can originate car keys, program keys for you, and help you with duplicate keys. If your vehicle’s keys no longer work, let our team get to work for you. Chip key duplication and transponder key service is available to you. Perhaps you need help due to a lost key, we can help with that, too. Whether you need a Honda key replacement or you need us to generate a key for another model car, simply call Jon’s Locks first. 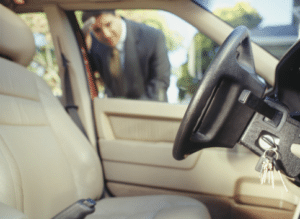 Many times, our customers need our help because they are locked out of their vehicle. Everyone has locked their keys in their car before. We can help. We offer same day emergency unlock service in most cities surrounding Warwick. As an auto locksmith, we can help you with most types of vehicle lock needs. This includes services like broken key extraction and ignition lock repair. However, in some cases, it is not possible to repair a lock. For this reason, we will need to replace it for you. We would provide you with an upfront quote without hesitation. Fortunately, we can replace car locks for most makes and models. Rekeying car locks is also something our technicians can help you with. Rekeying allows us to create a new key for your vehicle. This is an important service for those who have lost keys, but it is also important when you have given your keys to the wrong person or no longer are sure where they are. This is an excellent way to improve the security of your vehicle. For your convenience, we offer a mobile locksmith service. Just give us a call and we’ll come to you no matter if you’re at home, at work, or stranded in a parking lot. We also have a walk-in location at 2291 W Shore Rd unit b, Warwick, RI 02889, but please call and make an appointment because we’re often out on service calls. For any locksmith service you need, call Jon’s Locks first.